The name ‘GREENSHINE’ might ring a few bells with anyone familiar with the folk scene in Ireland and with good reason. 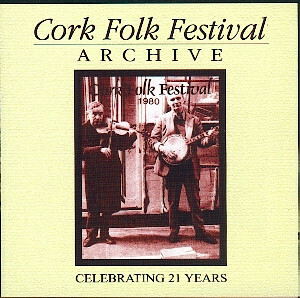 Noel Shine and Mary Greene have long been a vital element of the Cork folk fraternity, releasing 3 critically acclaimed albums to date. Their debut THE LAND YOU LOVE THE BEST was billed in the top 3 folk albums of the year of its release by the Irish Times and they’ve featured on the recordings of many other artists in Ireland including The Republic of Loose, Christy Moore and John Spillane as well as contributing original songs to artists such as Sean Keane and Kate Purcell. So why are they often called Ireland’s best kept musical secret? Well they live a relatively quiet life in the mountains of Co. Cork where they write, perform and record their own music as they raised a family in between touring the length and breadth of Ireland, the US and the UK. Maybe with this GREENSHINE cd, the secret is out at last. In the past few years, Noel and Mary have been joined onstage by their youngest daughter Ellie who, by now, is a seasoned performer despite having only just turned 17. By the age of 16 she had already performed as part of GREENSHINE for an audience in the Abbey Theatre that included President Michael D. Higgins and his wife Sabina and the group has shared a stage several times with Christy Moore, swopping harmonies and songs with the great man. Ellie, along with her sister Sadie, have lent their harmony skills to both several of their parents’ albums. It was about time it was made official. 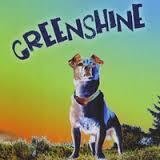 GREENSHINE ~ the band and the album ~ introduces Ellie Shine to the airwaves. The album is a warm, thought provoking mix of songs old and new. Alongside 6 original songs are 8 carefully chosen covers from a variety of eras including a very early Beatles tune (‘I’ll follow the Sun’) all the way through to the wonderful ‘Mario Kart Love song’ by Sam Hart. The recording comes to a close with a beautiful version of ‘Thugamar Fein an Samhradh Linn’ that rings in the air long after the music fades. ‘Dancin’ Boy’ in memory of The Band’s bass player, Rick Danko. The GREENSHINE household is one that’s full of music ~ of ALL kinds. Influences are picked up from far and near, producing a variety that’s linked together by the multi-instrumental talents of Noel Shine with guitar, concertina, keyboards and ukelele added by Mary and Ellie. Sadie Shine and Martin Leahy guest ~ the former on a simple and striking version of ‘Ruby Tuesday’ complete with bouzouki and whistle while Martin adds tasteful and subtle percussion to a number of tracks. It’s hard to categorize such a collection of songs, especially in a business that demands that music is cut and dried into boxes but GREENSHINE can’t be too concerned about that. They have to sing the songs they love no matter where they find them. 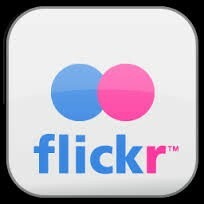 If you’re wondering ~ file GREENSHINE under ‘Heart and Soul Folk’.